The idea for frozen pudding was born after L.A. food writer Jason Kessler tried to save the remains of a banana pudding his girlfriend, food stylist/chef Hannah Canvasser, had whipped up. 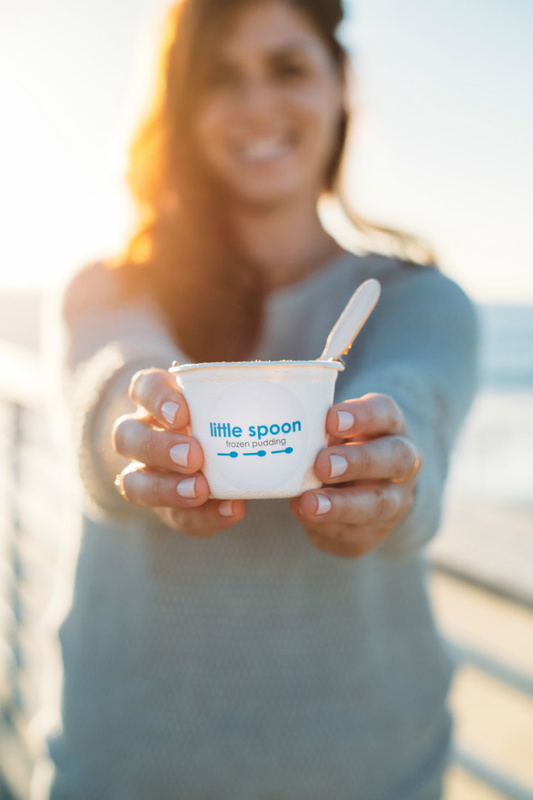 Now Little Spoon creates richly flavored frozen pudding that is put through a special process to become a creamier version of ice cream. The company boasts seven all-natural flavors including campfire chocolate, caramel latte and vegan/gluten-free coconut cream pie served from a beachy-keen cart complete with umbrella. “We’ve taken the after-school pudding cup you grew up with and turn­ed it into something wholesome and delicious,” Kessler says, adding that the best thing about fro-pud is that “it doesn’t melt and turn into a soupy mess like ice cream. When it thaws, it just turns back into an enjoyable pudding.” Custom flavors, packaging and photo lids can be arranged for an added cost to match your decor.